Why wind turbine blades are made of composite materials? 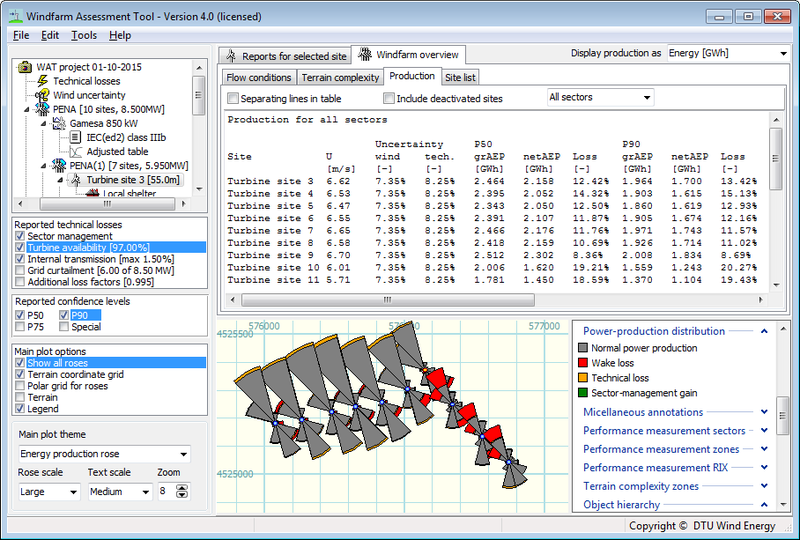 I’ve received a question regarding material selection for wind turbines blades. The reader asked why there is a predominance in the use of composite materials for the blades instead of wood, steel and aluminium and other materials used in the first glorious, pioneering years of wind energy. Please note that I’m by no mean an expert so the only intention of this post is to give a very general introduction to the subject. This is a very broad topic involving different engineering branches. In general the 2 design drivers are weight and stiffness. To withstand loads (both wind loads and gravity loads). Wind loads are function of wind speed and length of the blade, and increase from the root to the tip of the blade. Gravity loads are function of the material density. For these reasons blade designers try to minimize the mass for assigned stiffness levels – it is to find a balance between aerodynamic and structural requirements. So we want less weight (that is lower density) and more stiffness. 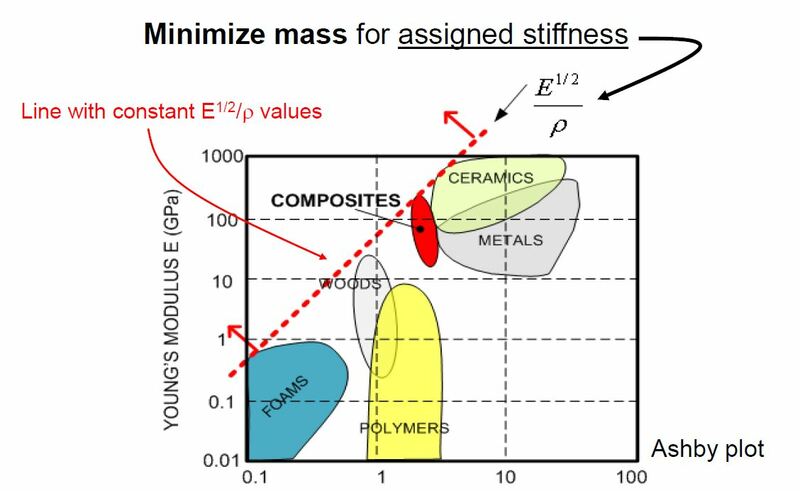 Stiffness is expressed by the Young’s modulus of the material – basically the relationship between force and deformation. In general blades are very flexible, stronger in the flapwise direction and weaker in the edgewise direction. And here is the reason for the use of composite materials. For a given Young Modulus, the material with the lower density is the composite (resin plus glass fiber). You can see graphically this relationship in a type of graphic called “Ashby Plot” (I attach a version stolen online from a document of the University of Cagliari. Every now and then a new technical solution appears in the wind energy business and it’s slowly implemented in the new wind turbines. A good example is the use of trailing edge serrations – not really a new idea (it has been around for several years) but a simple solution that it’s spreading and gaining acceptance in the industry. Basically they are a method that help reducing the noise of the blade and they look like small triangles. You can see them in the picture at the beginning of the post, which I ironically stolen from an anti-wind energy website. This solution is particularly beautiful because it can be retro fitted – meaning that it can be applied also to existing, working wind turbines. They work reducing the turbulent boundary layer on the trailing edge of the blade, which is the source of a relevant amount of the noise. This is a complicate subject and I’m not an expert in acoustic, but in general what happen is that the turbulences and the vortices created by the layer of air that separate from the edge of the blades are creating the majority of the noise that we hear. It’s interesting to observe that the length of the triangles has an impact on the reduced frequencies (the longer the serrations, the bigger the reduction at the low frequencies). This help reducing the frequencies that are more annoying for humans. Also, it is worth mentioning that the amount of dB reduction is function of the serrations flap angle. Obviously they don’t do miracles, but a reduction of 1 or 2 dB(A) for their price is a good trade off. It’s also worth to notice that they do not affect substantially the performance (that is, the production) of the wind turbine. The most elegant element of the wind turbine is, at least for me, the blade. Blades are currently reaching incredible lengths (onshore we are almost at 70 meters, offshore they can be even bigger) and, as I discussed in this post, can be made of several materials. The cheap solution is fibreglass, more heavy, while the technological advanced, lighter (and more expensive) solution is carbon fibre. They are submitted to several loads of different origin – not only aerodynamics but also inertial, gravitational and other loads induced for instance by ice. The main design drivers are aerodynamics, aeroelasticity (the correct damping of the blade) and fatigue behaviour. They must resist lightning. For this reason they often incorporate metallic elements to conduct the electricity to the tower and from there down to the ground. Lightning strikes are a relatively frequent – so frequent that there is a specific norm on the topic (IEC 61400-24). They usually hit the nacelle or the blades. The surprising part is that many lightning striking the turbines are upwards – that is, they go from the turbine to the sky. The metal conductor, usually in copper or steel, can be embedded in the surface of the blade or can be inside it. They must resist ice. Some models include a mechanism (usually fan heaters or resistors) to warm them and avoid the accumulation of snow and ice, pernicious for stability, production and potentially even dangerous for people working in the area. There are also microwaves solution, that have a low energy consumption, and “defensive” (or preventive) solutions, such as hydrophobic foils. Basically, the ice will not stick to the blade. They must resist erosion. 20 years of UV, sandstorms can seriously damage the surface of the blade, impacting production. Several solutions have been developed, such as special paints and epoxy or acrylic materials. They must resist strong winds. 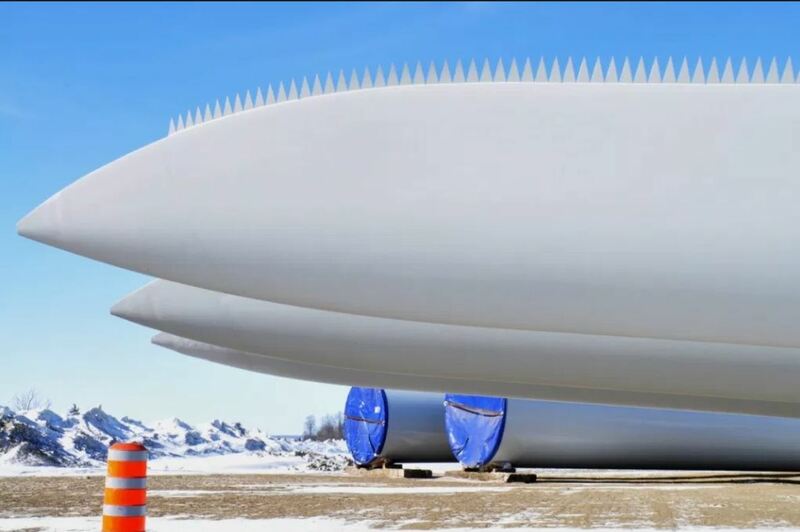 During the life of the turbine, the blade can (and it probably will) be exposed to extreme winds. They must be silent. A relevant percentage of the wind turbine noise is generated by the blade - usually around the tip. In several countries it’s compulsory to reduce the noise level under a certain dB threshold. One of the most intriguing characteristics of the blades (at least for me) is the fact that they are “twisted”. Conceptually, wind turbines blades works like the wings of a plane. But on the wings of a plane, the speed is the same from the root to the tip, while on the blade increase from the root (where the blade is moving relatively slowly) to the tip (where speed is maximum). Therefore, in order to have the correct angle of attack and keep constant the mechanical torque in each section of the blade, the angle of attack decrease from root to tip. Why do you need a gearbox in a wind turbine? The short answer is that you don’t need one – if you are using a direct drive WTG. But even if the solution without gearbox is used by several manufacturers (e.g. the Goldwind 2.5 PMDD, Enercon models, etc.) the majority of makers decided to include this technology. Purpose of the gearbox is to increase the rpm (revolutions per minute). The blades rotate very, VERY slowly. It is also important to mention that the longest the blade, the lower is the tip speed of the blade: you do not want to increase it to avoid generating noise and to lower the loads on the blade itself. 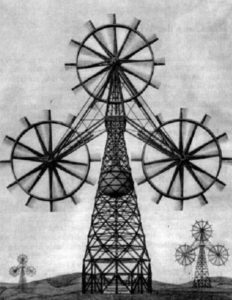 In order to reach the correct rotational speed and generate power at the frequency needed by the grid you will need to use a gearbox between the main shaft (connected to the blades) and the secondary, “high speed” shaft linked to the rotor in the generator. The conversion ratio depend on the WTG model, but can be around 1:100. 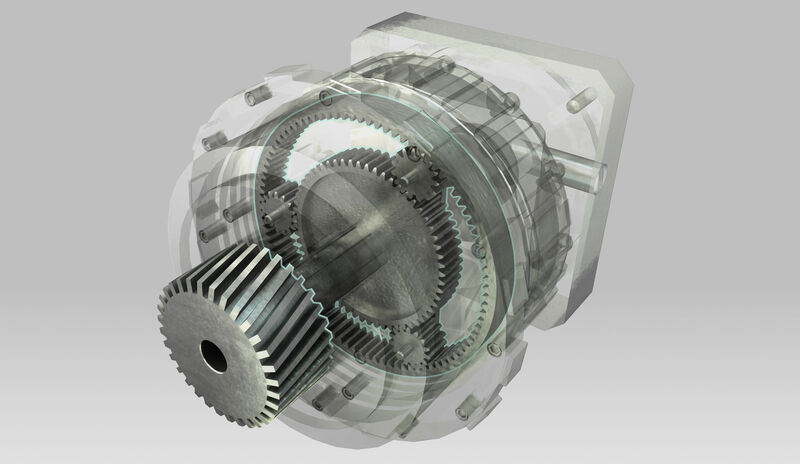 The gearbox must survive over 20 years with very high, cyclical loads. Torque can be extreme during emergency shutdown, and is usually high during start ups. The failure of a gear box is a very big problem, as you will have a long production downtime and you will need a crane to disassembly the broken component and install the new one. Additionally, gearboxes should be as silent as possible, have low vibrations and dissipate quickly the heat produced by the internal mechanisms. Therefore lubrication systems and vibration absorber mechanism are crucial in their design. Gearboxes are usually built using planetary gearing system, and are equipped with several auxiliary system. For instance, it is possible to analyse the density of particles dissolved in the lubricant oil and the way the gearbox vibrate to detect problems and predict possible failures. In many project my colleagues from the wind and site department (the people who calculate the best wind turbine model and the optimal layout in a wind farm) are forced to put quite a lot of wind turbines in a reduced space. 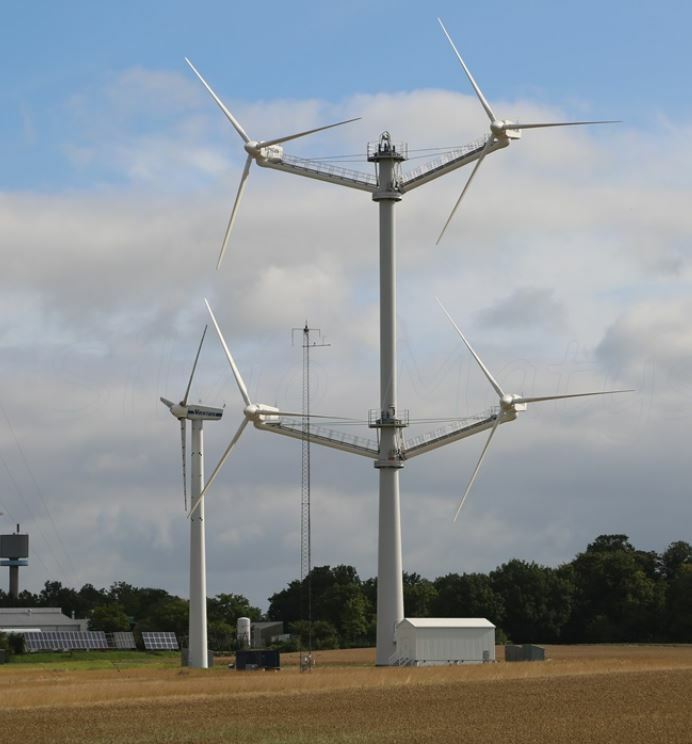 Each of these wind turbines generate a “wake effect” – basically, they create turbulence in the wind. These turbulences can affect other turbines nearby, increasing loads. This is not good, because higher loads usually means more problems due to component failures. Wind sector management it’s a solution to this problem – basically, when the wind is blowing from a certain direction some turbines are automatically shut down. There are basically 2 alternatives: you can shut down the turbine upstream (the one creating the turbulence) or the one downstream (the one suffering the increased loads). Stopping one or more wind turbines will obviously result in a loss of production. However, the guys in wind and site often found that, even considering these losses, the global output of the wind farm is higher in a densely packed wind farm with wind sector management then in a configuration without it. 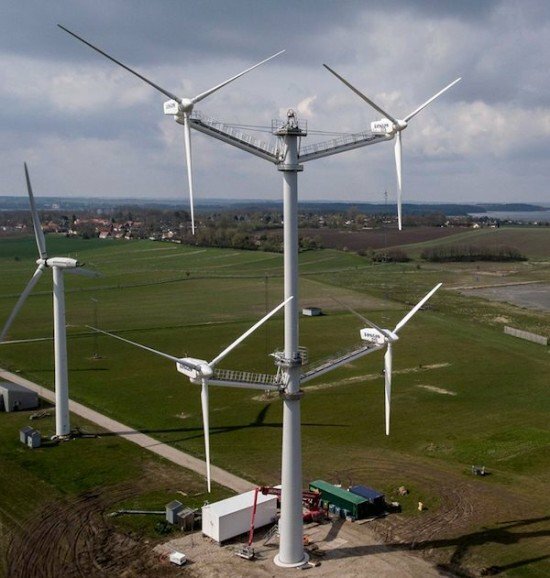 In the market there are also more advanced solutions that, instead of stopping completely the wind turbines, change only some parameters of the WTGs. For instance the optimization algorithm could decide to change the speed of the rotor or the pitch of the blade. Wind sector management is one of the curtailment that a wind farm can have. Other typical restrictions are linked to environmental issues (noise, shadow flickering, birds or bats) or to requirements coming from the grid. It looks like the trend in the business is to go as high as possible. The places with the best wind conditions have been already used in the first 20 something years of the wind industry. Now it’s time to work with low wind sites – and probably, repower the older wind farms. 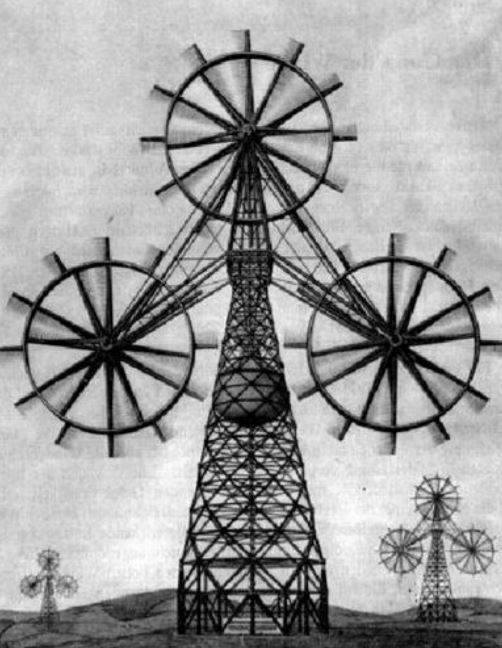 I consider tall a wind turbine tower of over 100 meters. They are not unusual and the majority of big OEM have solutions for low wind sites in their portfolio. Both Nordex and Repower have tower of over 140 meters. 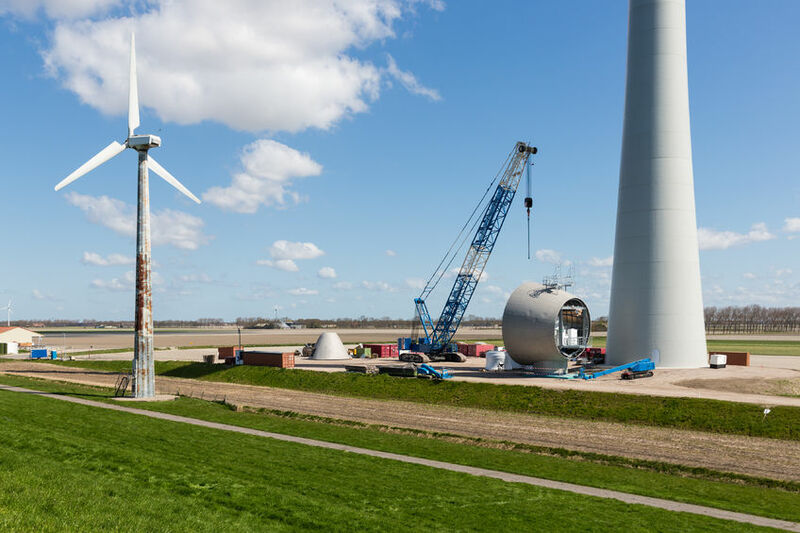 Vestas has a 120 meter tall steel tower, Acciona has a 120 meter modular precast concrete solution and Enercon is ready to market a 149 hybrid (concrete + steel) tower for the E-101. 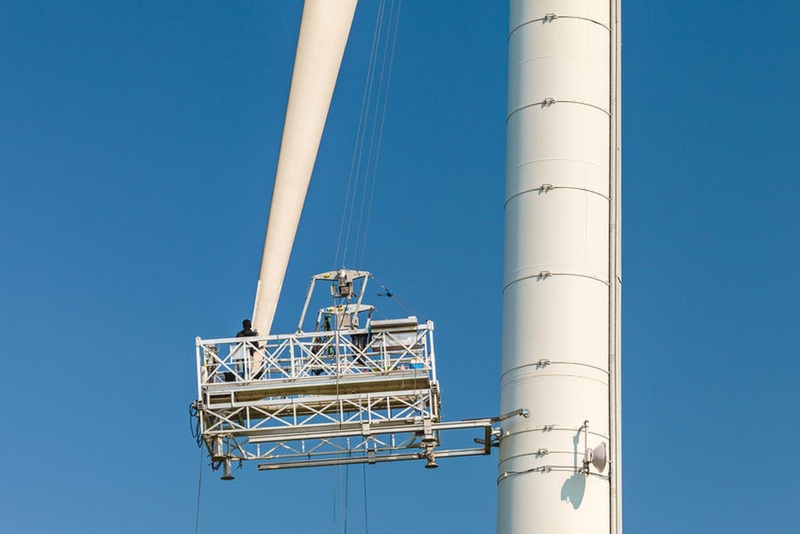 Siemens / Gamesa is not behind – they just build a 153 meter tower in the Sarahnlom wind farm (central Thailand). With the cost of energy free falling and an aggressive competition from the solar energy manufacturers and developers are squeezing every dollar from the projects. The benefit of taller WTGs is not only an increase in energy production, but often also less turbulence. This usually means a longer lifetime for the wind turbine and lower cost for operation and maintenance (as the loads on the system are lower). It’s difficult to say upfront which solution is better – for shorter tower is usually steel, for taller tower either concrete or hybrid. However this is a general rule and it should be crosschecked against local market conditions. Price of steel is more or less uniform (unless there are huge tariffs, like for instance in Brazil). Price of concrete is much more dependent on local conditions – if it’s possible to buy aggregates nearby, if there are big cement plants, etc. As a result, precast concrete towers are usually better in big wind farm (50+ wind turbines), where transportation cost for the steel solution are much higher. An additional benefit of in situ concrete tower is that it will boost your local content. This is my first “guest post” in the blog. I’ve been contacted by Mr Stewart Erwin who asked me to incorporate his article. I think it’s interesting (even if it’s focused only in the US market) and on topic. It was originally published on LinkedIn. Mr Erwin works for Carmanah – feel free to contact him for more info. There are new changes for wind turbine construction this year. In December, the FAA announced new guidelines for temporary obstruction lighting to increase safety for pilots and flights. 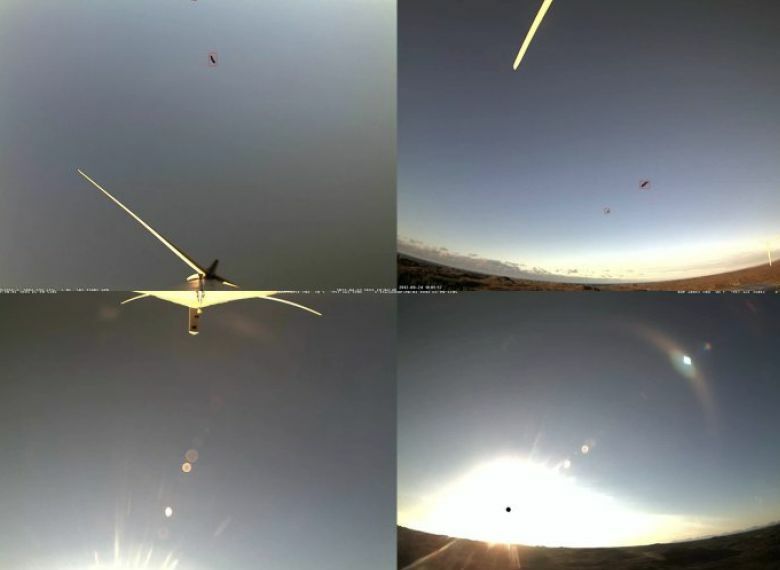 To comply, the FAA now requires a FAA L-810 steady-burning red light that can maintain autonomy for 7 days at 32.5 candela on all turbines once they reach a height of 200 ft (61m). In addition, the FAA reminded the industry that submitting a Notice to Airman (NOTAM) is not accepted to justify not lighting the turbine (FAA AC 70/7460-1L). If power is not available for temporary lights, the FAA recommends the use a self-contained, solar-powered, LED steady burning red light that meets the photometric requirements (L-810) instead. Choosing the correct light to meet compliance can sometimes be confusing. The guidelines are very specific and many solar lighting manufacturers will only have one light that can meet these specifications. It is important to understand the FAA compliance in full, in order to select an appropriate solar product. Submitting a Notice to Airmen (NOTAM) to justify not lighting the turbine during construction, is prohibited. L-810 compliant solar lights must also meet the FAA guidelines for candela and autonomy. Some solar lights on the market will have a candela of 32.5 and state they can stay lit or last for 7 days. However, staying lit/lasting for 7 days is different than having autonomy for 7 days. Autonomy refers to how long the light will last if all solar charging is removed – this ensures that if a solar light encounters 5-days of overcast, on days 6 and 7 it will still shine at 32.5 candela. The goal is for light output to remain consistent if it encounters days when the system will store little to no power (FAA EB 76). Let’s take a look at candela. To meet FAA standards, L-810 lights must have a minimum intensity of 32.5 candela (cd), and that the minimum vertical beam spread must be 10 degrees and the center of the vertical beam spread between +4 and +20 degrees (FAA AC 150/5345-43G). Temporary lights must also sustain autonomy for 7-days at 32.5 cd. One of the problems of installing a wind farm in an area with a dense bird population is the possibility of impacts between the rotating blades and the animals. A standard solution used in the industry is the use of a (very expensive) bird radar, a quasi-military technology that can spot very small flying objects and stop the turbines (hopefully) in time. Working at the development of a wind farm in Jordan we have discovered the existence of an alternative: a Spanish company (Liquen) is developing an “artificial vision” system to be installed on the WTGs. Basically the system is composed of 2 sets set of high definitions cameras installed on the WTGs or on the MET mast that are filming the space around the turbines, plus speakers for dissuasion sounds. According to the company, real time detection is really fast (less than 1 second) and it is possible including in adverse weather conditions (fog, snow, rain) whit a very low power consumption. The main problem that I see is that the system is effective only when there are at least 200 Lux (that is, from sunrise to sunset). So there is a clear problem with nocturnal birds – I wonder if in the future it will be possible to integrate the system with some kind of night vision, like the military infrared technology. Another weak point is the low detectability of very small bird (12 centimeters or less): they can be easily spotted only if they came in a large group. This technology looks promising and it’s not so “embryonic”: it has already been installed in a Vestas wind farm in Greece and several other wind farms around Europe (Spain, Norway and Greece). If you are interested you can find more information in the DTBird Brochure or in the results of a study in a real wind farm in Norway.